The first daughter of the late Pastor Bimbo Odukoya, the co-founder of Fountain of Life Church has put to bed. 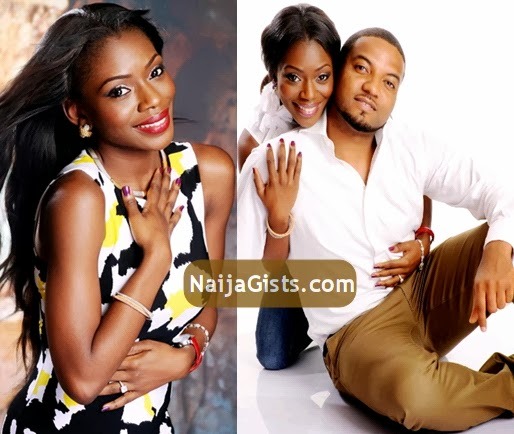 Tolu Odukoya who married her fiance, Olumide Ijogun in December 2012 has delivered a bouncing baby girl in the United States of America. The couple welcomed their first daughter on Sunday the Sept 8, 2013. The naming ceremony which held on Sunday 15th of September was officiated by her father, Pastor Taiwo Odukoya. Tolu Odukoya who graduated from Oral Roberts University in Tulsa Oklahoma is the first child of Mr & Mrs Odukoya. Her mother, Pastor Bimbo Odukoya died as a result of Sosoliso Aircraft that crash-landed in Abuja on the 10th of December 2005. Congrats to Late pastor mrs Odukoya.. Bundle of Joy, God bless you all. glor be to God. What a beautiful couple.congrats dear. Bezo or wetin you call yourself, you be idiot.Why can’t you just do without criticizing,so she’s not suppose to deliver after 10months of marriage. Bezo you be really fool. You sef no dey do am?